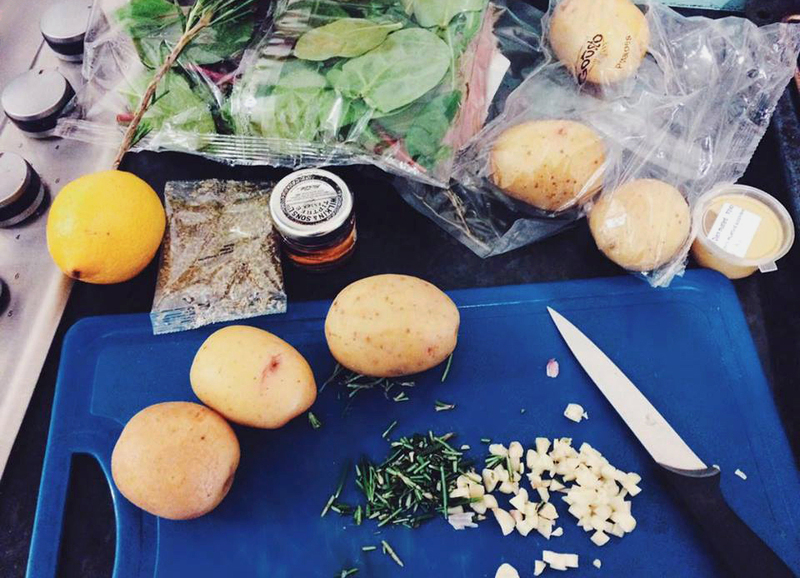 Gousto is a subscription service that delivers meal ingredients and recipes to your door. I had been intrigued by Gousto for a while, and lucky for me I was kindly sent over a Gousto box to try out in exchange for a review. Via the Gousto website you are able to select and order the meals that you would like to make. There is a variety of cuisines to choose from and the meals change up every week. Though if you order too late the more popular meals can run out, which is unfortunately what happened in my case, meaning I wasn't able to get my first choices. The meals I did end up selecting were Lemon Pepper Chicken & Rosemary Potatoes and Greek Chicken & Feta Bake. 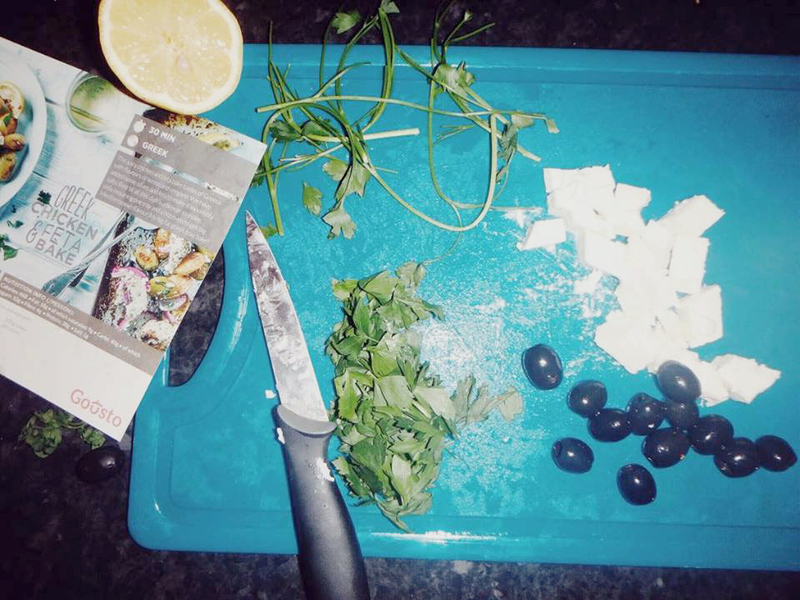 A Gousto box is large in size and packed with fresh ingredients. 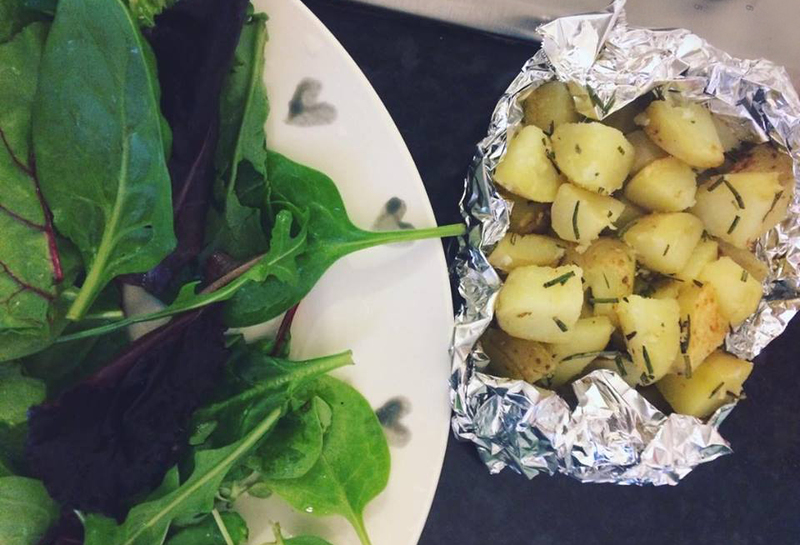 The box also contains ice packs, meaning that your food will be fresh for up to 24 hours without being refrigerated, in case you miss your delivery and your box is left with a neighbour. The food came separated by storage type. A large, wooden spoon was also included, which was a nice little extra. My Gousto box, as selected by me, contained 2 servings of 2 meals. And there was about a 5-day window for the meals to be made before expiration. As I was only cooking for myself I was able to have the 2 meals twice. The full price of these meals, had I have paid, would have come to around £27. I believe this is a good deal, especially considering the high quality of ingredients that I received. 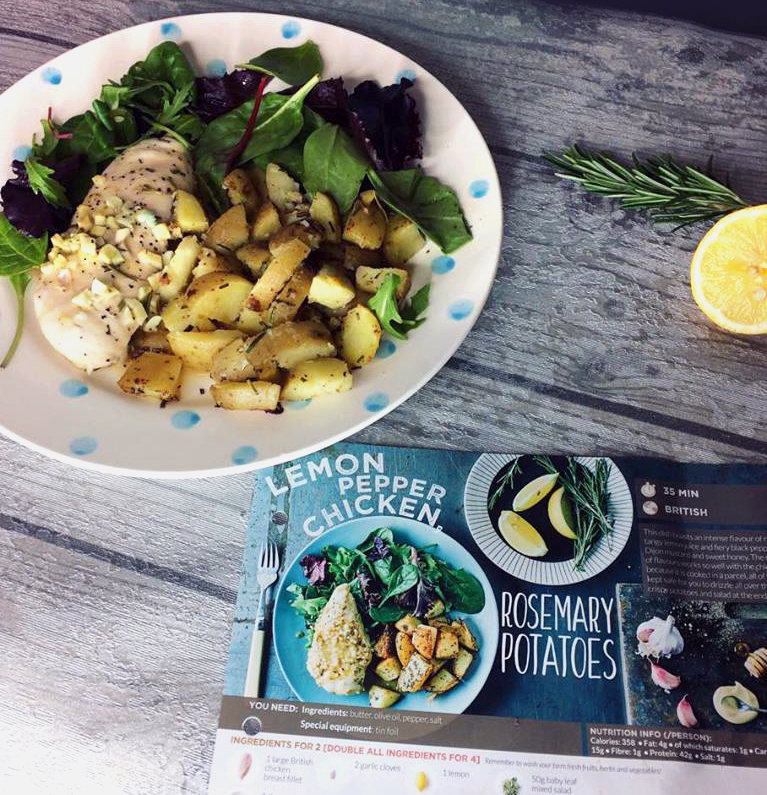 The first meal that I tried out was the Lemon Pepper Chicken & Rosemary Potatoes. I was worried this would be a bit bland, but it was the opposite; I was actually really surprised at how great it turned out. Both the chicken and potatoes were really tasty and fragrant. In the future I will be sure to use the rosemary potatoes recipe again in particular. My second recipe - the Greek Chicken & Feta Bake - didn't turn out as good. I felt it was a bit undercooked; the feta and potatoes weren't baked as well as they should have been within the suggested time. But it's possible that this was my error and not theirs, as I was rushing on this occasion! I unfortunately wasn't able to try out the meal for a second time, as some stuff came up for me and I didn't manage to cook again until after the last batch of chicken had expired. This was a bit annoying as I hate wasting food. So if you do try Gousto make sure you're in a position to be at home enough to make the meals within a few days of receiving your box. 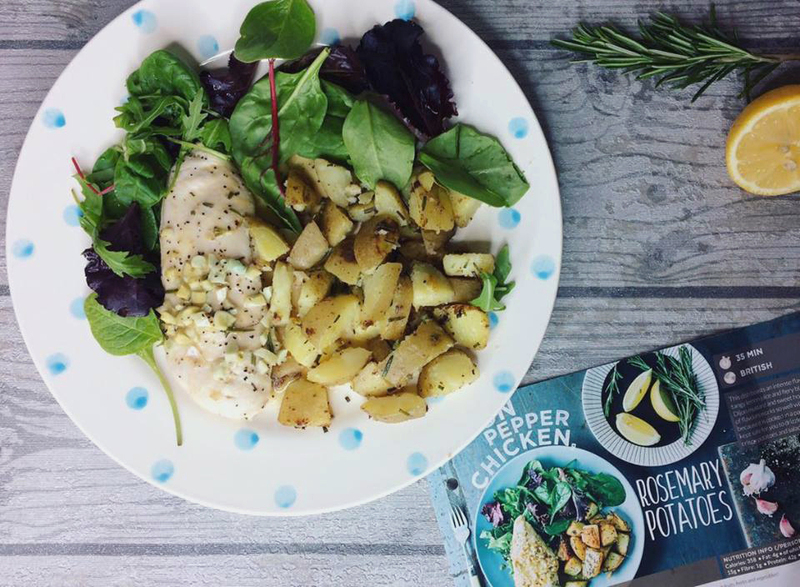 I generally had a really good experience with Gousto and am likely to order from them again. It's a fun and efficient way to implement cooking from scratch, and one of the two meals I had was amazing and I imagine others will be too. Saying that, I will hold off getting a subscription until after I graduate, when I will hopefully have a more consistent income. Even though Gousto is great value for money it's still slightly out of my student budget! 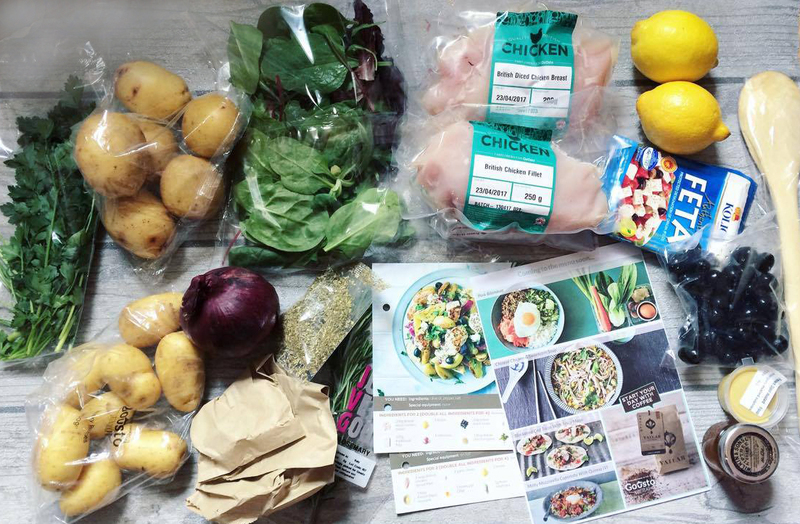 If you would like to try out Gousto for yourself you can get £20 off your 1st and 2nd orders using the code: TORNADO. 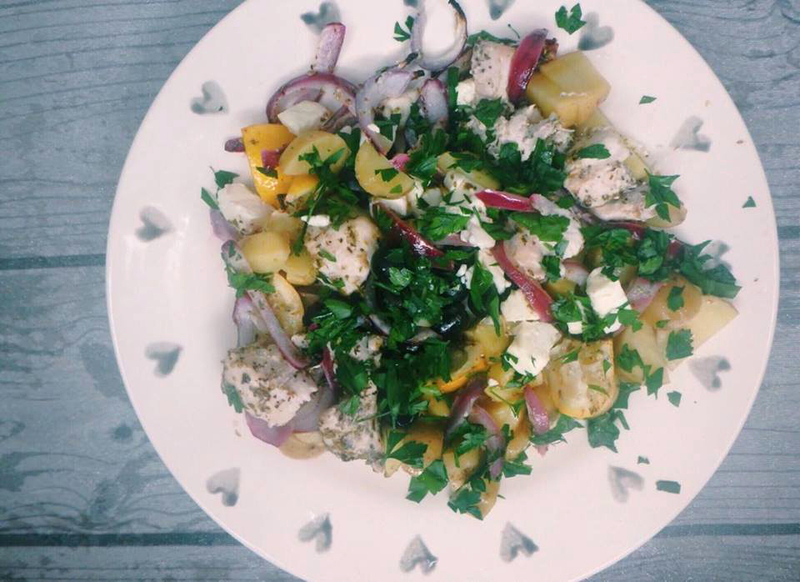 Have you tried Gousto? What do you think?